Tue., May 29, 2018, 10:20 a.m.
CAGUAS, Puerto Rico – At least 4,645 people died as a result of Hurricane Maria and its devastation across Puerto Rico last year, according to a new Harvard study released Tuesday, an estimate that far exceeds the official government death toll, which stands at 64. The official death estimates have drawn sharp criticism from experts and local residents, and the new study criticized Puerto Rico’s methods for counting the dead – and its lack of transparency in sharing information – as detrimental to planning for future natural disasters. The authors called for patients, communities and doctors to develop contingency plans for natural disasters. 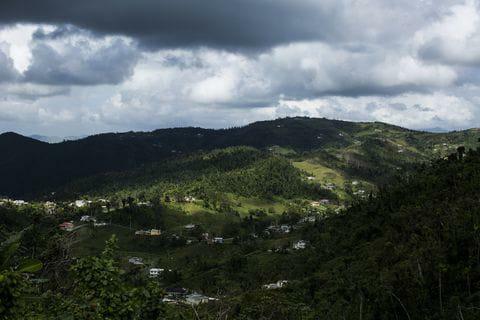 More than eight months after Hurricane Maria devastated Puerto Rico, the island’s slow recovery has been marked by a persistent lack of water, a faltering power grid and a lack of essential services – all of which have imperiled the lives of many residents who have been struggling to get back on their feet, especially the infirm and those in remote areas, some of which were the hardest hit in September. The official toll included a variety of people from across Puerto Rico, such as those who suffered injuries, were swept away in floodwaters, or were unable to reach hospitals while facing severe medical conditions. No. 56 was a person from the city of Carolina who was bleeding from the mouth but could not reach a hospital in the days after the storm. Once arrived, the patient was diagnosed with pneumonia and died of kidney failure. No. 43, from Juncos, suffered from respiratory ailments and went to the hospital – only to be released because of the coming storm. That person later returned, dead. Gov. Ricardo Rossells’s administration did not immediately release mortality data nor did officials provide much information publicly about the process officials were using to count the dead. But officials and physicians acknowledged privately that there were probably many, many more deaths and bodies piling up in morgues across the island. After pressure from Congress and statistical analyses from news organizations that put the death toll at higher than 1,000, Rossells enlisted the help of George Washington University experts to review the government’s death certification process. He promised that “regardless of what the death certificate says,” each death would be inspected closely to ensure a correct tally. “This is about more than numbers, these are lives: real people, leaving behind loved ones and families,” Rossells said at a news conference in late February. Published: May 29, 2018, 10:20 a.m.